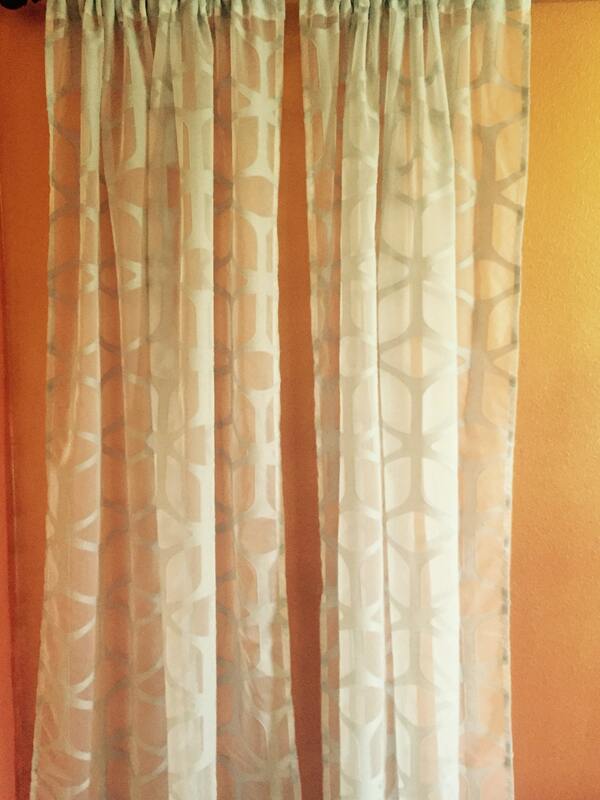 Listing is for 2 designer modern arch trellis champagne sheers size 54"wide x 96" long. These sheers have a pole pocket header. 2 pairs in stock and ready to ship in 96" length. These sheers can be shortened at no additional cost. 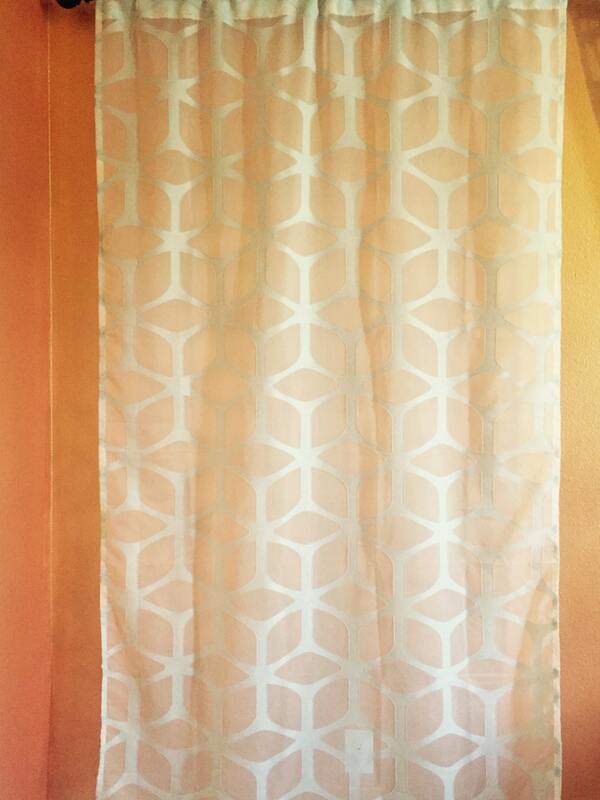 This pair of drapes is on sale 50% off! Use coupon code: clearance50 to take off the discount.